I focus my practice on personal injury trial work. I have been representing clients in the Athens/Atlanta area for close to ten years. My interest in law began at the early age of 16 when I began working in a law firm as a high school student. I attended undergraduate school at the University of Georgia and went to law school at Florida Coastal School of Law in Jacksonville, Florida. I began my legal career in Pensacola, Florida working at an insurance defense firm, though my passion was always to help individuals rather than corporations. 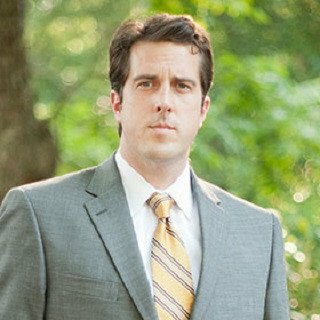 After enduring Hurricane Ivan, I was forced to move from Pensacola and eventually relocated to Athens, Georgia where I remain devoted exclusively to pursuing justice for plaintiffs. I continue to be licensed in both Georgia and Florida to practice law. I enjoy sports, politics and music in addition to his passion for law. I spend my free time supporting local charities including the Muscular Dystrophy Association, the Northeast Georgia Foodbank and serves on the Board of Directors for the Athens Area Habitat for Humanity. As a way to tie together his career and giving back to the community, I serve as the chairman of People’s Law School, a free community program designed to increase awareness and education of basic legal issues. You have been severely injured by someone else. You need help. Now what?